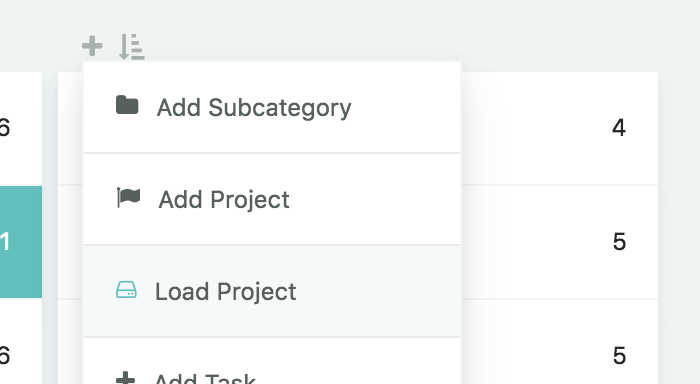 To use a project multiple times, turn on the saved items strategy. You can then save an existing project and load it anytime later. To save it click on the edit icon (cog) and then the save icon (floppy disk). In the column view in the Master List click the plus button at the top right and then click "Load project". 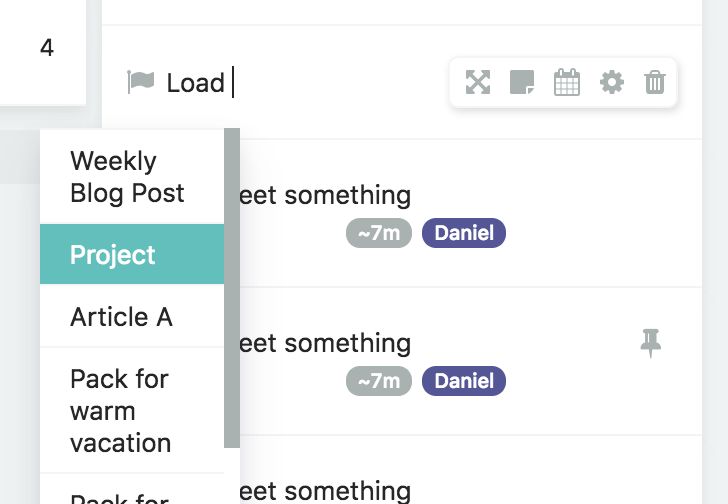 Or create a new project anywhere and type "Load" and press the spacebar to see your list of saved projects. 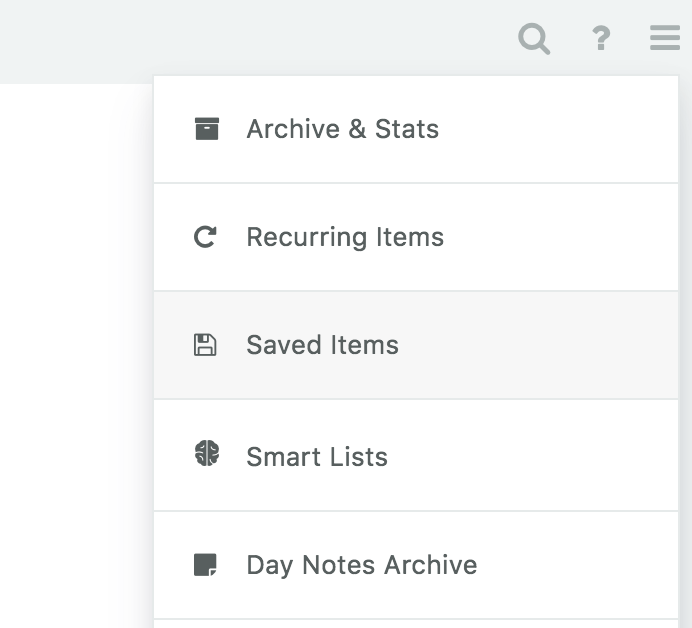 If you want to modify the saved project, click on the menu at the top right in your day view and go to "Saved items". There you see a list of all your saved items. Locate your project and click the edit icon on the right.